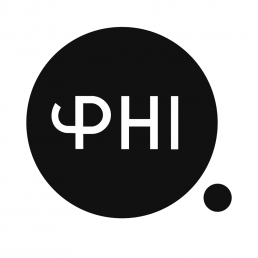 Think PHI produces shading canopies that harvest rainwater, generate solar power and provide cooling for hot cities. With built-in water filters and charging outlets for electric vehicles, the canopies simultaneously provide a source for clean water and energy. Bringing the principles of nature into urban settings, Think PHI turns urban environments into sustainable spaces. Much like trees, the HALO canopies use rainwater and sunlight to sustain life and reduce CO2. Through the concave top, the canopies collect rainwater, and filter it to make it drinkable. Meanwhile, built-in solar panels generate electricity, which can be used for illumination or charging points for electric vehicles. The canopies are made from a durable, fire retardant, and recyclable membrane, and come in three different varieties for small, medium and large scale, the largest of which is designed for railway stations, metros, or airports, with capacity for significant rainwater storage and power generation. Since June 2018, more than 400 of the canopies have spread out across 60 locations in India, including at the Airport South Metro station in Nagpur. India’s uniquely humid climate can be a challenge, but the HALO canopies are built to work with it rather than against it, providing potable water, clean energy and shade in temperatures up to 45°C. During India’s monsoon season, the smaller canopies are capable of harvesting and filtering 150,000L of water. So far, the HALO canopies have harvested and filtered an estimation of 38 million litres of rainwater. The company estimates to have saved more than 1,250 tonnes of CO2 so far by adopting solar technology. The Singaporean company Think PHI has since 2016 produced a series of shades that can harvest rainwater and generate solar power.